Hot weather means cold eats, but to be frank we don’t need soaring temperatures to enjoy a great salad, that’s why we created a line of power packed Protein Salad Bowls. Featured in our shop and satellite location at Alt Hotel as well as on our catering menus, our Protein Salads are built to satisfy. Based on crisp greens with lean protein, heart healthy fats, loads of fiber and maximum flavour, they take the edge off any craving. From pure plant based pleasure with our Beet & Apple, to our popular Pozu Salmon, Latin Spiced Flank and Thai Shredded Chicken; these are salads meant to propel you through your day without weighing you down. On average they contain less than 400 calories and 11 – 35 grams of protein. That’s a whole lot of clean burning fuel! Now we’ve added two new flavours to the mix: Tuna Nicoise and Moroccan Flank Steak. The Tuna Nicoise is our take on the Southern French classic with a Lemon Caper Vinnagrette, steamed new potatoes, green beans, grape tomatoes and black olives. Served on a bed of fresh heritage greens and kale slaw mix, the Tuna Nicoise contains 20 grams of lean protein with a balance of big crunch and full flavour. 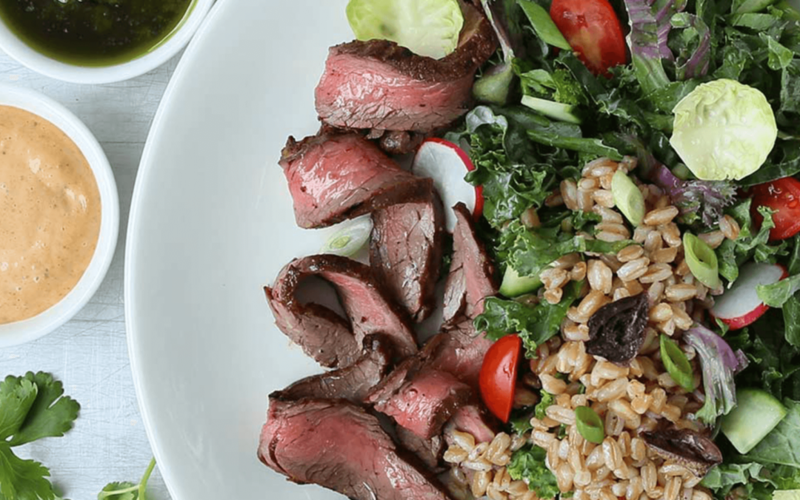 A Middle Eastern adaptation of our popular Latin Spiced Flank Protein Salad, the new Moroccan Flank Steak Salad powers up with 32 grams of protein, sourced from both lean seasoned flank steak and chickpeas. 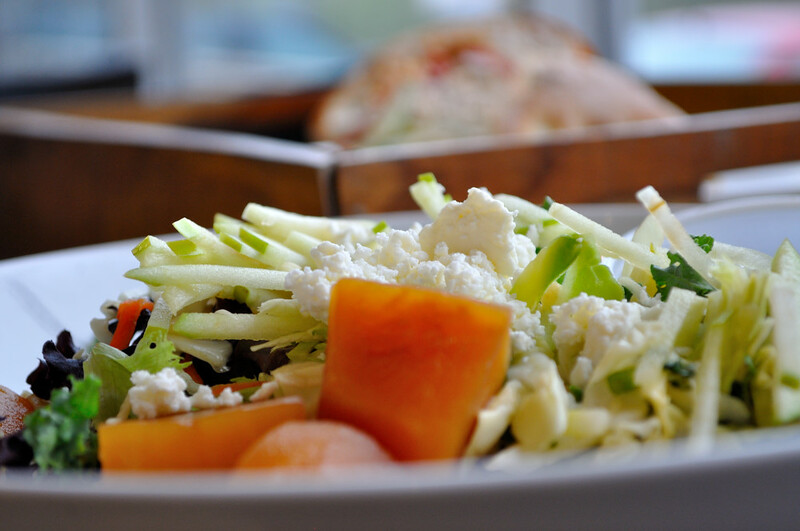 Green olives add savoury punch along with pickled turnip, shredded carrot, cilantro, onion and a hint of sweetness with a small dice of apricot, all against fresh greens with a fragrant Tahiti Dressing. 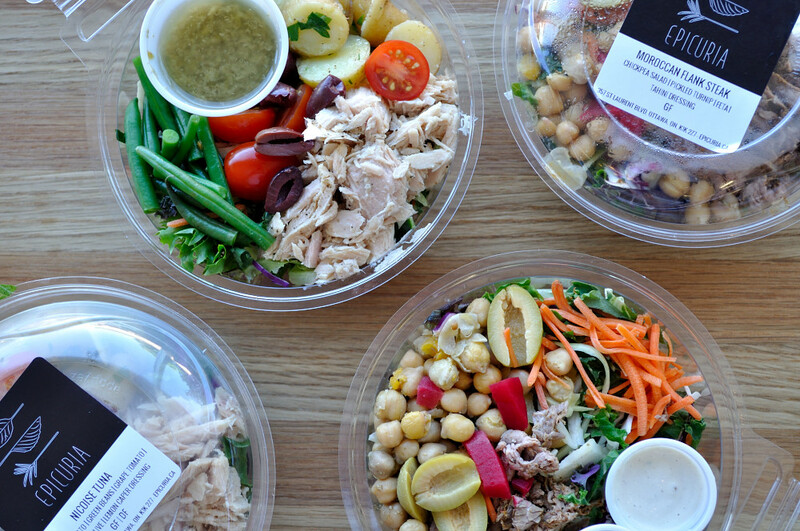 The best thing about our packed line of Protein Salads? They’re packed and ready when you are. Portion controlled and cooler friendly, they have everything you need under one lid. Light and fresh, they’re perfect for power lunches, picnics, easy summer meals, that first night at the cottage or meals on the go. Grab one to go – and go, go, go – all day long.